Surprisingly enough, Huawei is not present at MWC 2018 with any Android Go handset. However, it seems that such a device is almost ready to hit the market. References to the Huawei Y5 Lite (2018) with Android Oreo Go edition onboard were recently spotted in some firmware files. Shortly after that happened, this MediaTek-powered handset apparently arrived at the FCC as well. Although most consumers focus on the flagship-related announcements and rumors, the low-end sector still accounts for a solid share of the market in many areas. After all, Google did not decide to release the Android Go edition just for the sake of it. Sadly, Huawei is not one of the brands who managed to come up with at least one Android Go handset at MWC, not even a rebranded one like the ZTE Tempo X. However, the Huawei Y5 Lite (2018) with Android 8.1 Oreo Go edition onboard seems to be on its way. According to XDA Developers, the Huawei Y5 Lite (2018) surfaced in some firmware files that also come with the full array of Go apps included: Assistant Go, Gmail Go, LatinIMEGoogle Go (Gboard Go), Maps Go, Search Go, and YouTube Go. 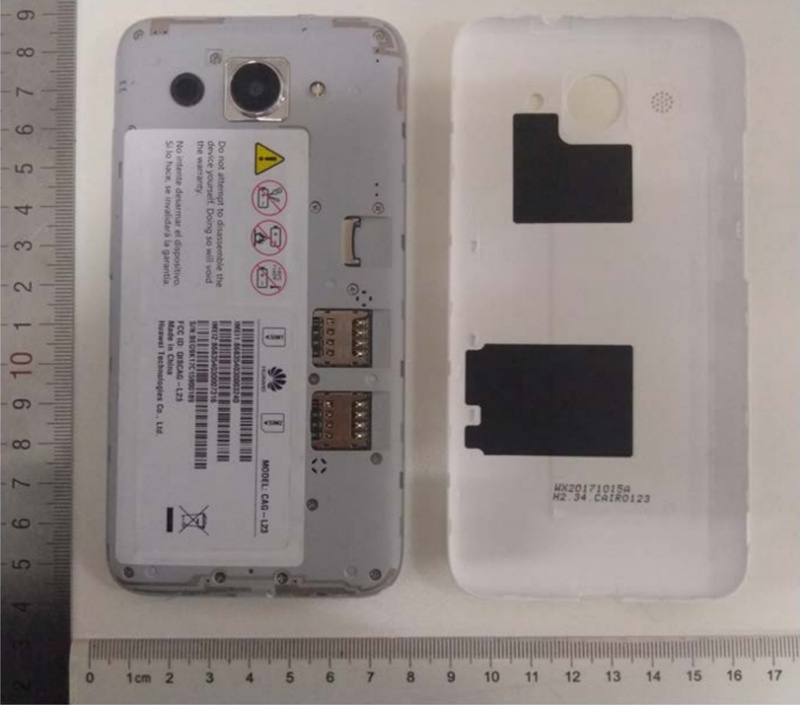 Even more, the platform configuration file reveals the following hardware specs: a MediaTek MT6737 processor (also used by the Nokia 3), a modest display with only 854 x 480 pixels (probably less than 5 inches in size), as well as dual-SIM support. NFC support is not present, but we can't imagine any Android Go device offering this connectivity feature anytime soon. 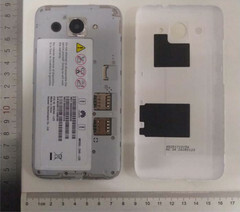 The FCC image that shows this handset comes without any surprises, clearly showing a removable back cover made of plastic, two SIM slots, a microSD slot, and a single camera with LED flash. These being said, we should wait for an official confirmation. Given the specs mentioned above and the price of the few Android Go devices we've seen so far, we should expect another sub-US$100 phone that is perfect for people on a very low budget or as a backup smartphone to carry around "just in case."